Investing in real estate for long-term rentals can be a smart strategy for building wealth and generating passive income. But many people get scared away when they start talking with amateurs. Who hasn’t heard the nightmare story about a long-term rental gone awry? It seems just about everyone has a story or knows someone who does. It is true – things can go bad with a long-term rental, but they don’t have to. There are many things you can do to avoid costly mistakes. Sure, I’ve made a few mistakes along the way but mostly my experience has been positive. I think a lot of that has to do with the formula I use when purchasing and renting property. There are many different approaches to building a portfolio of rental properties and there is no one right or wrong way. If you are thinking of jumping in to the long-term rental game, check out my tips to avoid costly mistakes. Your goals and objectives should have something to do with building wealth and generating passive income through real estate. Building a real estate rental portfolio is a long-term strategy. 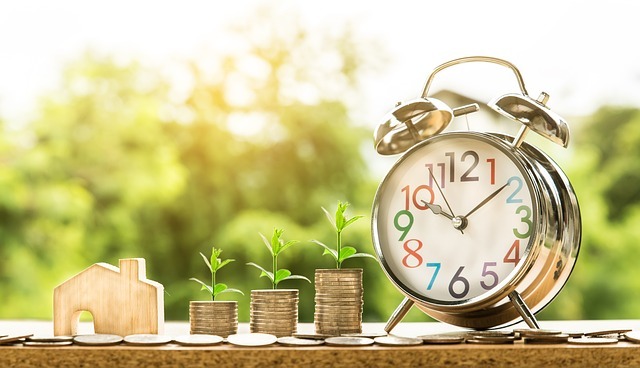 If you don’t have the patience or the time horizon for long-term rentals and building up a portfolio, then you may be better served by focusing on fix and flip or other real estate investments. If you do have the patience and the time, then take a look at my tips and feel free to copy it or create your own formula for success. Find a formula that you can live with and one that produces positive results. There are several factors that come into play when creating a formula that you can live with. For example, you want to be clear on the purchase price you can comfortably afford, the length of time you are willing to have a property sit vacant and the rate of tenant turn-over you are willing to accept. I used these factors to come up with a formula to help me determine which properties to buy and how to get them rented. Actually, I didn’t really come up with a formula so much as it evolved over time. It was a process. I made some mistakes along the way but learned what worked for me based on my goals and objectives and time frame. Following is a general guide to the formula that I have used. Starter home purchase price. I aimed for properties priced in the range of good starter homes. Of course, the price of a starter home varies considerably depending on what market you are in. The point is that I am generally not interested in higher end homes or real dirt kickers. The high and low end really don’t fit my formula. Buying higher end properties would limit the number I could buy and increase my risk. You will also find that rents don’t keep up with prices for more expensive houses. For instance, the rent for a $500,000 house usually won’t be twice the rent for a $250,000 house (in our market anyway) so you’ll find that “gross rental yields” (annual gross rents divided by home price) are lower for more expensive homes. Lower end properties come with all sorts of problems. They can be in bad neighborhoods which makes it difficult to find good tenants. They often have significant repairs needed. 1 to 2 purchases per year on average. Of course, this can vary depending on the market. Some years I didn’t make any purchases – other years I made several. I did not want to over extend myself. As we all know, the market can change, and you don’t want to be over extended when it does. It can be so tempting to buy when the market is hot and everything is going up, up, up. But don’t get greedy. It usually comes back to bite you. Walk away if it won’t positive cash flow. I looked for properties that would positive cash flow now and in the future. It is true that with long-term rentals you want to focus on the appreciation -that is what will build your wealth. But you also must pay attention to the here and now. Normally, you don’t want to have a negative cash flow in the hopes of long-term appreciation. Of course, there are exceptions to every rule. If you do make an exception, make sure it makes good financial sense when you look at the big picture of your entire portfolio and the decision fits with your goals and objectives. Pre-crisis, plenty of people got in trouble by buying properties that didn’t cash flow as they were betting on appreciation alone. If appreciation slows down (or stops) during a recession, you want to make sure that you can ride out the storm on rental cash-flows alone. • One-bedroom condos – these always rent quickly and are great for young couples and single renters. Caveat – Pay close attention to the HOA dues on the property as this will be a major expense. Make sure the condo has the positive cash flow after you’ve taken into account these dues (and other expenses). • Two, three-bedroom homes – these appeal to young families who want to be in a home but can’t yet afford to buy their own. Diversification. Once I started to build my portfolio I knew it was time to diversify. Diversification can take many forms; the type of property, the location, the size of property. Just like any investment, it is important to have diversification in real estate holdings. I started out in a single location and concentrated on condos and small single-family homes. But as time marched on I diversified into many different states as well as some commercial properties. Once you’ve got your formula down, aggressively seek out properties that meet your criteria and have the funds available to move quickly when the right deal comes along. Know your expenses and know the market. Other landlords and property managers love to exaggerate the amount of rent they can get. Now, they may actually get that rent but their property may have sat vacant for months or the higher rent came with a difficult renter or one that won’t be staying long. Do your research. I tend to put the rent at or slightly below the market rate. I want the property to rent quickly and vacancies to be as short as possible. After all, vacancies are very expensive. Comprehensive screening of tenants. I run a credit check, background check and get references including former landlords. I require a formal rental application and signed rental agreements as well as deposits. And sometimes I use my intuition. Don’t raise rents. What? Don’t raise rents? Okay, here is what I mean. I want long-term tenants. If I have a great tenant I would rather maintain their rent, even as the market goes up. I would rather avoid the cost of a vacancy and tenant turnover. Every time you have a vacancy, you will incur expenses such as advertising for rent, cleaning and repairs not to mention loss of rental income. I hope this gives you some ideas on what you can do to start or grow your portfolio. It is a long-term play so the sooner you get started the more time you’ll have to grow wealth.